<!-black-> Many people take LSD for many different reasons. "LSD explorers" are people who have heard about the sensory awareness produced by the drug and are curious to experience it. <!-black-> The "social LSD takers" comprise another group. These are the people who live in a subculture which consists mainly of persons using LSD. In order to remain in the group and to be able to contribute to its conversation, they take LSD as a "social potion". <!-black-> Another group takes LSD for hedonistic reasons- for "kicks" or "highs". They have heard it brings on a state of great pleasure and fun and want "a piece of it". In this group also are people who are dissatisfied with reality. Either they are uncomfortable in it or they find it defeating and frustrating, and therefore they want to interrupt reality with periodic LSD "trips". <!-black-> A different group consists of persons who are hoping for the "magic pill" that will "cure" them of what they are. These people are looking for some miraculous cure through the use of LSD. <!-black-> Persons who take LSD accidentally form another group, and there are also individuals who, without their consent, are given LSD. Still another group of people exposed to LSD consists of those who have been given the drug experimentally during research projects. <!-black-> "It is no wonder that we yearn to get away from it all, to go back to that egoless state when we were at one with our environment. It is pointless to call it a regression; words do not alter its attractiveness for those who need more than harsh sanity. Our nerve fails. We want pleasure without obligation, answers rather than problems, magic, not uncertainty. The tensions, the bitterness, and the shearing stresses make living in the midst of explosive upheavals difficult. We speak with concern about explosions. The impact on man living through information, transportation, energy, communication, and the technological explosions is equally stressful." <!-black-> Society should be highly concerned with drug addiction also. Drug addiction is a state of periodic or chronic intoxication produced by the repeated consumption of a drug (natural or synthetic). Its characteristics include an overpowering desire or need (compulsion) to continue taking the drug and to obtain it by any means, a tendency to increase the dose, a psychic (psychological) and generally, a physical dependence on the effects of the drug, and detrimental effects on the individual and on society. <!-black-> In New York, city officials stated that LSD could be a potentially disabling weapon, and in Amsterdam teen-agers threatened to disorient the population by placing only a few ounces of LSD in the city's water supply. <!-black-> So, is LSD a social problem or not? The research of the author of this paper feels it is. What about the solving of this problem? 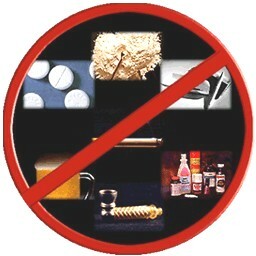 The answer, quite simply, is to educate young people as to the dangers and hazards of this drug. It is illegal but so is marijuana, but laws do not seem to halt its use. (according to Acts 2:4) is the about the only sure way of preventing ex-heroin addicts from going back to the drug after their cure. If drugs are taken away from them, there has to be something given to them as displacement- or to take its place, and this should be the power of God. <!-black-> LSD is a very useful drug in that it is currently used in legitimate channels for research on brain function, personality structure, and schizophrenia; for acceleration on some courses of psychotherapy; and for the consciousness-expansion and improvement of creativity. <!-black-> The harmful exploitation of LSD is hurting the American society more than benefiting it. John F. Kennedy once said, "It should be our earnest intention to insure that drugs not be employed to debase mankind, but to serve it." Aldous Huxley also stated, "That humanity at large will ever be able to dispense with artificial paradises seems very unlikely." "Bum LSD" is when the LSD is "watered down" or cut so that it loses its effectiveness after ingesting- or it can be when there is no LSD in the capsules that cost a lot of money to purchase. Many girls, as young as fourteen years old, prostitute themselves and buy LSD and Methedrine with their proceeds. LSD and Marijuana use may lead one to heroin addiction. <!-green-> click on the above banner if you want to learn how to have a relationship with Jesus Christ. <!-green-> Read this if you need encouragement. <!-green-> Don't give up. Here are some tips on how to overcome discouragement. <!-green-> Here is a true story about a wounded Christian who threw it all away and how he came back to God. This story may give you hope if you need it because God never stops loving and reaching out to those who are wounded. <!-green-> God can heal you of your LSD addiction. Read what He has done for others.